We designed our own puppets then made them using wooden spoons. 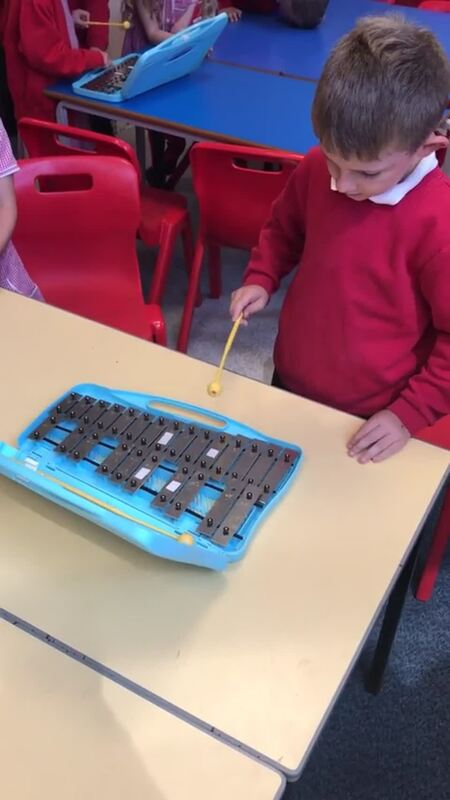 Music - we have been using xylophones to play Twinkle, Twinkle little star. It was so much fun and some of us have nearly cracked it! We've been making Nature Collages in the forest, check out our work here. We're getting ready for winter with some snowy art. 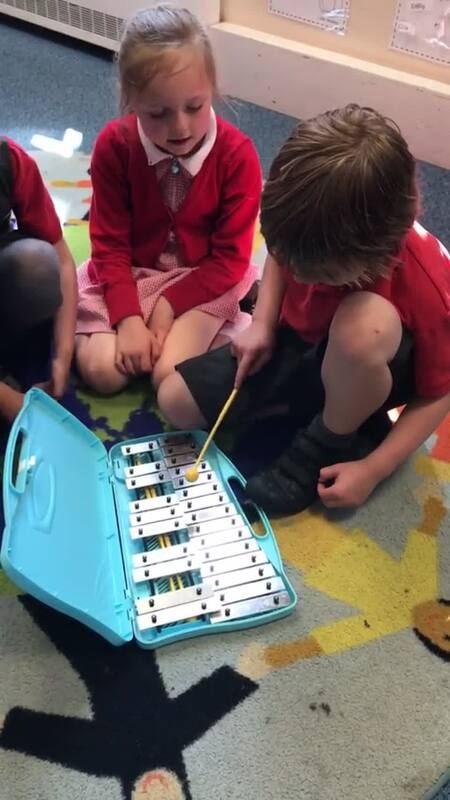 The theme for the hall this term is 'light of the world' we decided to look at how children are the light of the world. Take a look at some of our art we have been doing in our topic lessons.